After Crosby and Charlie's first swimming lesson, Chuck and I let our a huge "phew!" We did it, we got two boys changed into swimsuits, into the pool, out of the pool, and into dry clothes in less than an hour and a half. 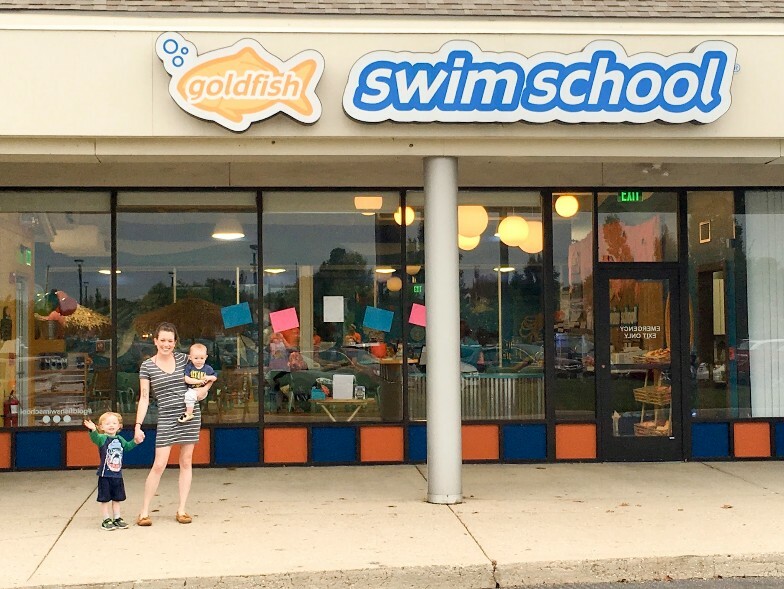 Crosby and Charlie have been taking swimming lessons at Goldfish Swim School-Dayton for about a month now and we are loving it. Due to their different ages, Crosby takes his lesson first while Charlie and Daddy play in the waiting area. Once Crosby is done with his lesson, we trade kids- I stay in the pool for Charlie's lesson, Daddy changes Crosby into dry clothes, and then helps with Charlie at the end of his lesson. 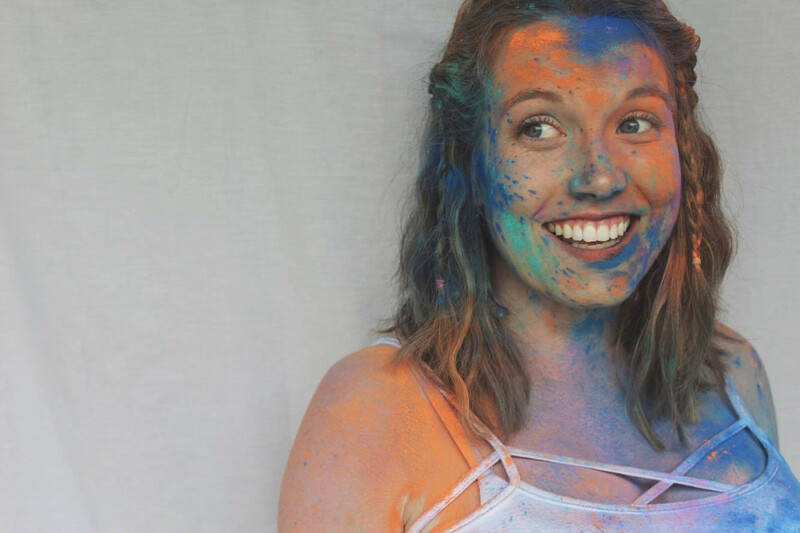 It sounds like a lot (and it felt like a lot at first), but we've now got it nailed down to an easy and manageable routine. It's definitely helped that I now know what is necessary to pack in their swim bags (and what isn't!). A reusable swim diaper (they're more sanitary! )- If you have trouble finding one in the off-season like I did, good news! 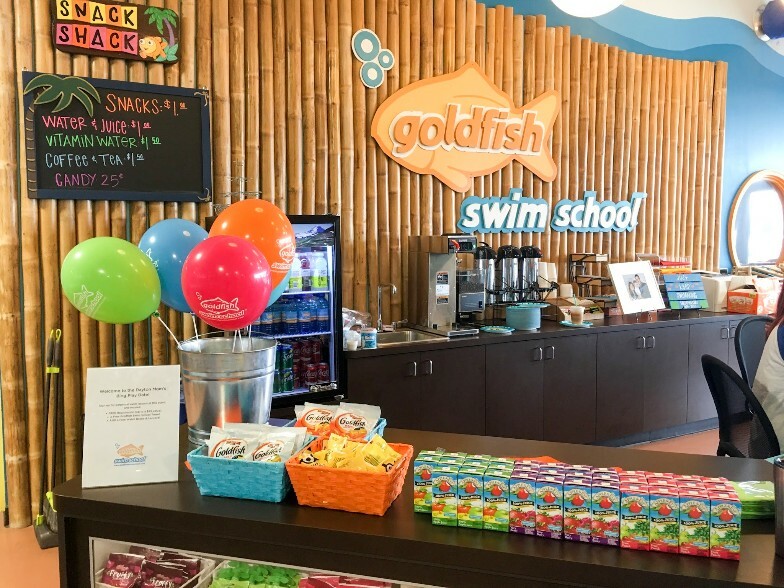 Goldfish Swim School sells them in their pro shop! Swimming trunks and bathing suits are optional. 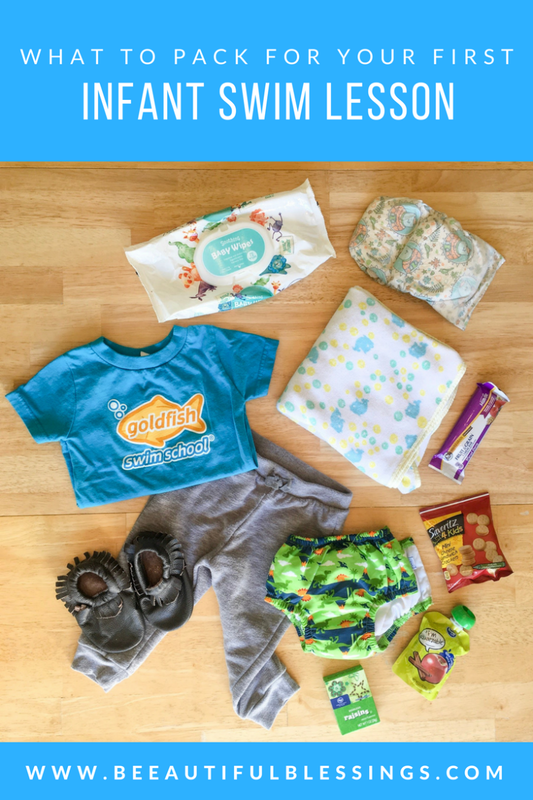 Diapers and wipes- Obviously, you'll want to bring diapers to change them into when they're out of the pool. Bring more than you think you'll need because you just never know with little ones! Towel- This is pretty obvious. 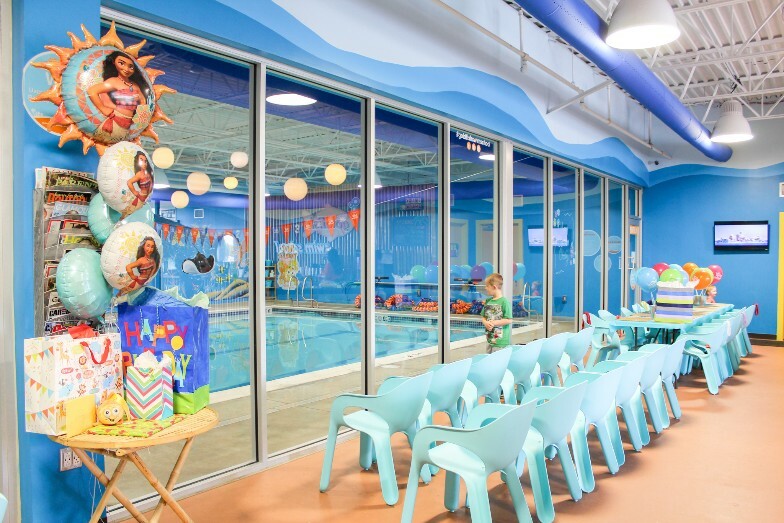 Thankfully, Goldfish Swim School keeps their pool area at 90 degrees so there are no chilly babies once out of the water! Slip-on shoes- Don't bother with socks. They're a pain. I love using slip-on moccasins for Crosby. So, what don't you need to pack? 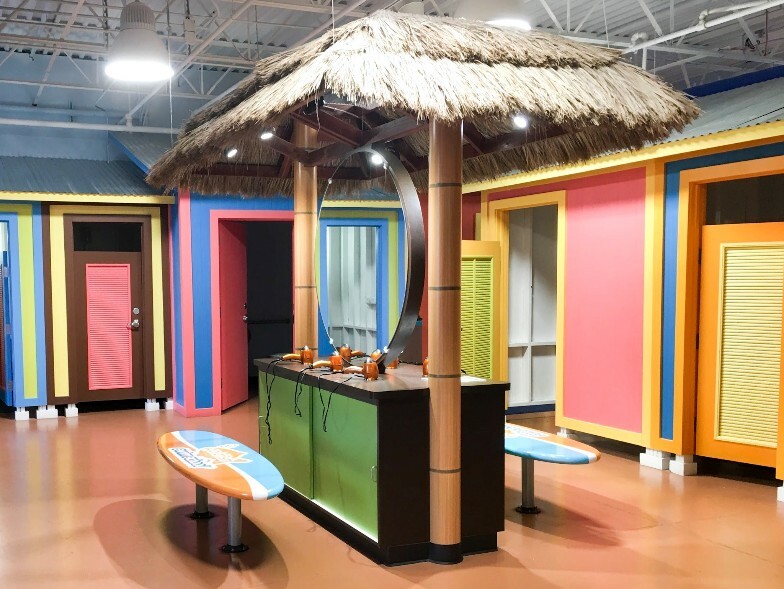 Sunscreen- Goldfish Swim School is indoor and a toasty 90 degrees year-round. No sunscreen required! Tear-free shampoo and body wash- Goldfish supplies everything you need in their shower area located just outside of the pool. It's so easy to rinse the chlorine off your wee one under their multiple shower-heads! Blow dryer- That's right. Not only does Goldfish supply shampoo and body wash, they even have a blow drying station so you don't have to leave with sopping wet hair! If you're thinking about enrolling your infant in swimming lessons, I can't recommend Goldfish Swim School enough. Check out their website to find a location near you!